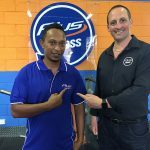 On Tuesday 18 October 2016 the Timor Learning Centre and community Plus Fitness Gym located in Dili, East Timor was officially opened. This project was possible as a result of the vision, hard work and sheer persistence of two inspirational Australian women, Libby Bleakly and Theresa Beck. Between 2010 and 2014 Plus Fitness member Libby and her colleague and close friend Theresa were deployed with the Australian Federal Police in East Timor, during which time they built a strong bond with the people and communities of East Timor. Driven by their love and respect of the Timorese people, Libby and Theresa had a dream to return and continue their work with the community. After much research and consultation they set out to create a community centre that would include a Learning Centre for adults and children, a Women’s Centre and a Community Gym. Their objective was to have a positive impact on the reduction of crime within the communities and to build a stronger culture of respect and friendships. Their journey has been far from easy while they have navigated the process of leasing land, constructing three buildings in their ‘compound’, developed relationships with local government and the community and all the while making countless trips back to Australia in efforts to raise much needed support, awareness and funds. One such visit saw Libby and Theresa walk from Sydney to Canberra to assist with their fundraising, backed by Rotary Australia World Community Service (RAWCS), Plus Fitness and it’s franchisees. 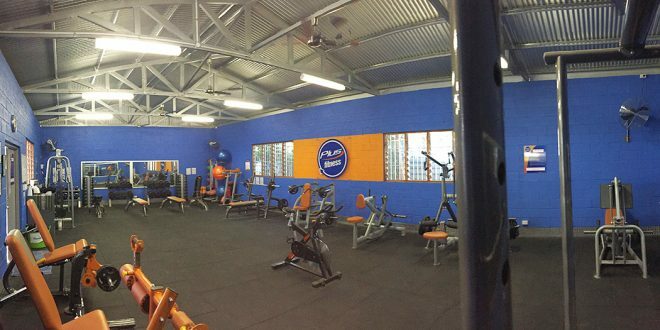 After learning more about Libby and Theresa’s project Plus Fitness gave further commitment to extend their involvement and contribution by donating a large amount of gym equipment, amongst other things, to assist in getting the community gym up and running. Branded as Plus Fitness, the gym alone attracted over 200 members on its first day with many walking hours to get there. 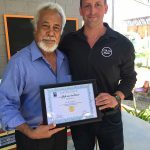 Having just returned from East Timor to attend the opening ceremony Nigel Miller, Franchisor Plus Fitness said; “It was fantastic to be able to attend the official opening ceremony and see the end result of Libby and Theresa’s hard work as well as that of the whole Plus Fitness Head Office team that were involved in putting everything together to make this community gym a reality”. The impact that the centre is already having on the local community is so apparent from children attending the learning centre, people learning to sew and also the gym providing a place for everyone to come together as a community and get involved a range of health and fitness based activities and education’. The opening ceremony drew a lot of local and International attention with the centre being officially opened by His Excellency Xanana Gusmau, the current Minister for Planning and Strategic Investment and formerly the first President of East Timor as well as a national hero to the people of East Timor. 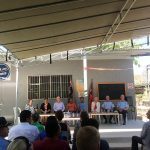 Amongst a range of other dignitaries and officials present were Peter Doyle, Australian Ambassador to East Timor, Mrs Armandina Gusmao, East Timor Consul General to Australia, Scott Lee, AFP Assistant Commissioner and Ilidio Xiemens da Costa, Secretary of State for East Timor. With the whole centre, including the Plus Fitness filling within the first week of opening it’s doors and a waiting list needing to be established then this is just the first step in what Libby and Theresa would like to see in a number of similar centres opening across East Timor as they continue to help in building a stable and sustainable future for East Timor. Article written by Nigel Miller for the What’s New in Fitness Magazine – Autumn 2017 Edition.